John Fitzgerald led the Australian team to its 28th Davis Cup victory, defeating Spain on home soil at Melbourne Park (November – 2003). Fitzy has become only the fourth Australian to play in and captain a winning side. Outside the Davis Cup, John has enjoyed a successful career in both singles and doubles. He reached the world number one in doubles, amassing 30 titles, including seven Grand Slam titles, and had a career high singles ranking of 25. John Fitzgerald is an Australian favourite. His experience on and off the tennis court has given him a reputable name and he is a sought after guest speaker. As an Australian tennis champion John Fitzgerald played in three Davis Cup finals, earned a number one world doubles ranking and played at two Olympic Games. He now enjoys a media career with Channel 7 and succeeds John Newcombe as the current Captain of the Australian Davis Cup Team. John Fitzgerald was born 28 December 1960 at Cummins in South Australia. He turned pro in 1980 and amassed over three million dollars during his career. 1991 was a great year for Fitzy: partnering Sweden’s Anders Jarryd, he won the French Open, Wimbledon and US Open championships. 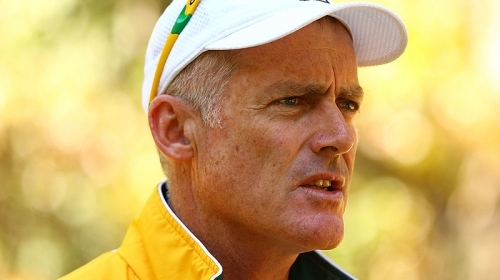 A passionate Davis Cup campaigner, he represented Australia in 10 ties from 1982 to 1990. During that period he reached a career high No.25 in singles and was 11-8 in Davis Cup singles rubbers, competing in both the 1983 and 1986 winning World Group finals against Sweden. In Davis Cup doubles he was 8-6 and was a member of two winning teams. 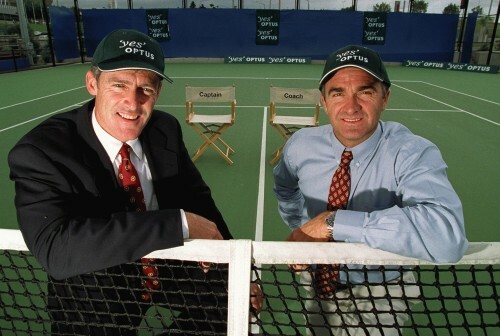 John played in two Olympic Games – Seoul and Barcelona – and received an Order of Australia Medal in 1993 for services to tennis. Fitzy has been a television commentator for Channel 7 since 1996, was a former board member of the ATP Tour and is currently the Captain of the Australian Davis Cup Team. Played Davis Cup for Australia for 10 years. Played in 3 Davis Cup finals. Member of two winning teams. Ranked No. 1 in Australia. Played in 2 Olympic Games (Seoul and Barcelona). Won 6 ATP Tour singles titles. Won 30 ATP Tour doubles titles, including 7 Grand Slam titles. Received Order of Australia Medal in 1993 for Services to Tennis. Television commentator for Channel 7 since 1996. Former Board member of ATP Tour. 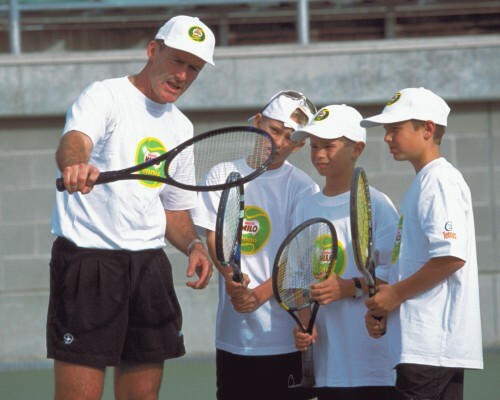 Australian Davis Cup Captain beginning 2001. Now on the board of tennis australia.